We’re all too familiar with this cold, hard bum-shaper we find in a bathroom. We say hello to it a number of times each day, but for the most part, we don’t think too much of it. But we should. It’s one of the most intimate things we use on a daily basis. The fact of the matter is, an architect’s thoughtfulness in specifying bathroom fixtures shows his sensitivity to conventions of luxury, comfort levels, technological advancement, and cost efficiency. Take a look at the two toilets below. Both look like fairly standard water closets you’d find in many a bathroom. They’re of the same classification, color, and look pretty much the same to the untrained eye. But to a knowledgeable architect, one would clearly be a cut above the other. 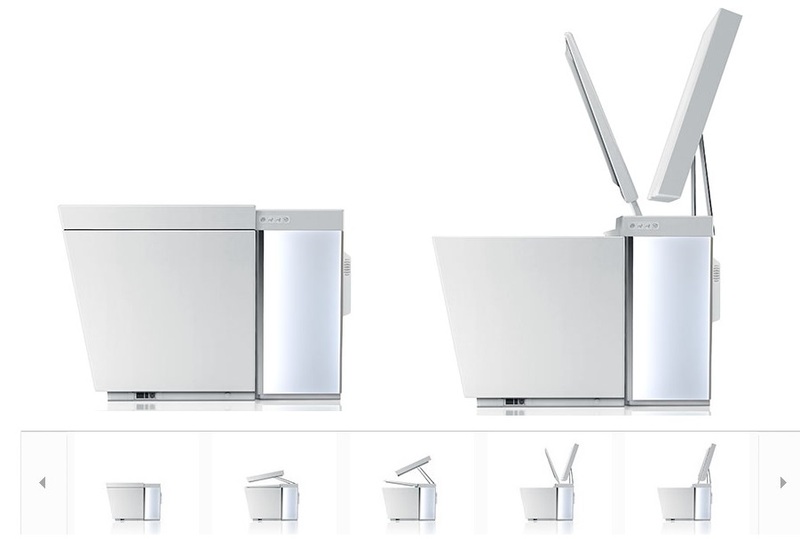 The one on the left costs (Toilet A) around $90 (Php 4,000), while the one on the right (Toilet B) costs $500 (Php 22,500). Why such a huge disparity? Let’s dig deeper and find out. Toilet A is of cheaper, less resilient materials, has a plastic seat, and is made with lower production standards in China. Toilet B is of high-grade porcelain and was manufactured in Wisconsin with multiple ISO Certifications. Toilet A’s workmanship is merely satisfactory, while Toilet B’s planes and edges are polished and smooth, more ergonomic, and carefully crafted to the last bevel. Toilet B comes with a bidet; Toilet A doesn’t. (And we all know how fantastic a relief our slooshy bidet is). Toilet B comes with water efficiency features, a sturdier flushing system, and includes provisions for half-flushing. Toilet A is just a standard flush and go, without saving water. 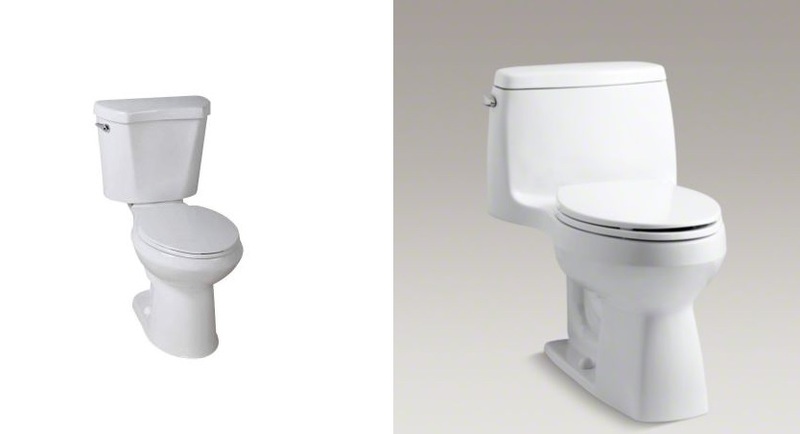 Toilet A is from a cheaper China Brand, and Toilet B is from KOHLER, a high-end German Brand. That was just a simple example of how much of a variation can happen between models of the humble toilet. But what’s say we take the comparison to a whole new level? Let’s take a huge jump to the top of the food chain, and look at a pinnacle of luxury in water closet models: The KOHLER NUMI. Just a short disclaimer: I'm in no way affiliated with KOHLER and I do not get any economic gain whatsoever from talking about their product on this blog. Lucky for them, this is pretty much free advertising in order to get a point across. Although I'm quite unsure how many of my blog readers could actually afford a NUMI. This particular model was KOHLER’s piece to draw in the super rich sector of the market. This enticement is definitely prevalent in the feel of their marketing. Check it out. That young gent and smoking lady are, like, so cool, chilling around this little white box from sunrise to sundown. Look at them, posing and all around a toilet as if someone is viewing them from the sky. If I were rich I’d totally do that. And those shoes. Those shoes. Let’s now draw our attention to the sleek toilet. Look at that modern chunk of gleaming whiteness. How unconventional its placement, don’t you think? Wood floor finish, glass all around, seen from the pool outside, overlooking the city. It’s like they made their bathroom a second living room. Yup. You’d probably feel like a total boss taking a dump with the entire world under your feet. Much power. Such ruler. From the spirit of the images above, you can clearly see what kind of hyper-comfortable lifestyle KOHLER is trying to sell to the psyche. So comfortable and private that you can poop nearly out in the open. Now believe it or not, there is a captive market of people that can afford to live like this. And KOHLER is saying “this toilet will support your never-get-your-hands-dirty way of living”. But luxurious marketing aside, how does the product itself actually reinforce the lifestyle they are selling. Does the NUMI deliver to the specific nuances of its users? To find out, let’s look at the features of this simple toilet. … Did I say simple? For one, the NUMI is competely hands free. You’re never going to need to even touch the darn thing (with your hands). 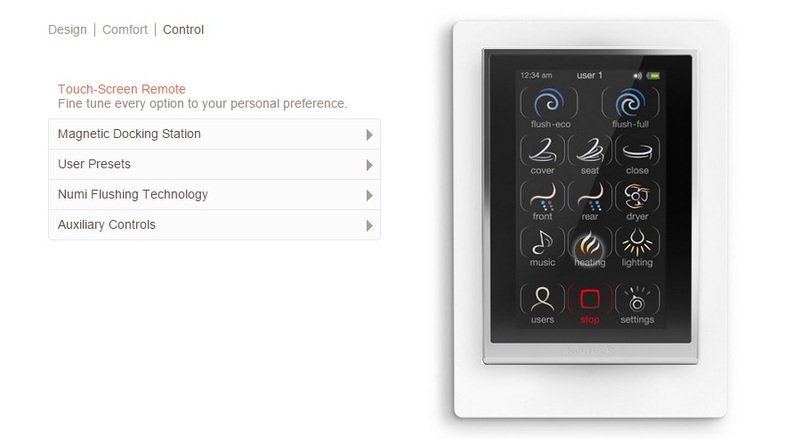 It has a motion sensor that determines if you are approaching it- and causes it to transform, ready to accommodate you. … Much like Sam and Bumblebee, but more intimate. A whole lot more intimate. All the features of the NUMI are controlled by a touch-screen remote that is magnetically charged and docked onto the fixture. 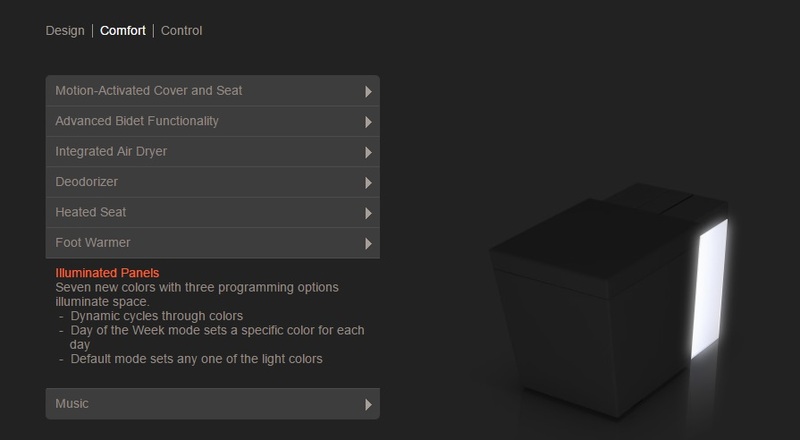 A motion activated cover and seat. Approach, and you will be accommodated. A remote control bidet made of glass. It slides out, and sprays you how you like it. I’m serious. You can adjust the wand position, water pressure, water temperature, and it has three modes of firing – pulsate, oscillate, and waaveee. An air dryer that is integrated into the bidet, which again can be adjusted according to your breezy preferences. A built-in charcoal filter deodorizer. It powerfully scoops up the air under your bum so you never have to smell what’s beneath you. A heated seat, so that your legs can be pampered while you go about your business. Again, to the temperature level of your choosing. A foot warmer, that keeps your toes from getting the chills during your five minutes of fame. Who said your thighs should have all the fun? A built-in sound system. Just store your tunes via SD card or stream your music to the NUMI’s speakers via any Bluetooth or auxiliary cable enabled device, and you can groove to the motion of the ocean every morning. An automated flushing system that saves water and power. Again, all of this can be controlled with a swipe of your finger. You can customize it to your own needs, and even save presets that can be clicked before you use it, so it can be tailor fit to you, your grandfather, or your son – depending who is using it. Finally, get this. I saved my favorite feature for last. The NUMI has illuminated panels that can light up the dark. Up to seven colors, even. BOOM. HUZZAAAAHH. It doubles as a lighting fixture, for goodness sake. How I love this loverly thing. 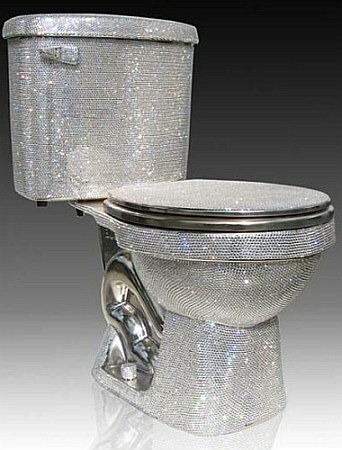 So, now that you’re sold on the sheer luxury of this toilet, how about I tell you how much it costs? Depending on which part of the world you’re from, you should be prepared to churn out 7,000 U.S. Dollars for a NUMI. That’s around 315,000 Philippine Pesos – as much as a low-cost house. …. Never mind. I never liked you anyway. So, what was that point of all this? Why did I care to enlighten you on the variations and spectrum of toilet satisfaction and functionality? Remember, technology is a driving factor in an architectural experience – so you would be best-served to know the spectrum of mundane things like fixtures. This goes for anything that you can specify in a work of architecture. It’s our duty as architects to ensure our clients get the most value for their resources, from the lowliest spenders to the most elite. If you don’t know what is new and available, you’re like a soldier that goes to war with limited ammunition. Not a good place to be. No special functionality here, folks. It’s just covered in jewels. Totally worth its $75,000 (3,400,000 Php) price tag. Again, client preferences are important, but it’s always in good practice to suggest the most cost-efficient alternatives. Admittedly, I do concede that some things just boil down to taste. If your client really wants the Swarovski after you both study the alternatives, be happy that you followed proper process and specify that shiny thing. Bottom line: Make an effort to know the different technological options for even the most mundane of things. They make a huge difference in ensuring your architecture is tailor fit to your client’s specific lifestyle. Don’t fret if you’re still caught in the stone age. It’s never too late to brush up on brochures and catalogs, attend expositions, and show up for product presentations. Any insights, comments or questions? Don’t hesitate to comment below or send me a message!